There have always been enormous incentives gained from entering activities which expand our awareness, consciousness and self-understanding. Historically, this has been achieved through meditation, trance and spirit journeys. At present, in our busy lives, finding time to take such deeply profound paths can be difficult at best. Fortunately we now have brainwave synchronization or ‘brainwave entrainment’, through our understanding of the human mind combined with modern technology, gratefully, this has brought with it some new methods for self-development, personal change and awareness expansion. information to us? Well with brainwave synchronization we can induce our brains into specific targeted frequencies, and there are indeed many benefits to this. The average non-entrained brain contains what could be called ‘unbalanced’ frequencies. This often results in the individual being unfocused, restless or with a lot of ‘noisy thoughts’ occurring. However if these brainwave patterns are synchronized and come into a harmonic balance, the individual will find themselves centered, restful and can even discover moments of inspiration and creativity. Listening to brainwave synchronization for just a few minutes will bring about this remarkable transformation. Not only are balanced brainwave patterns useful for mental calmness and relaxation, but brainwave synchronization can be used for virtually endless possibilities. It truly is a technology that can unlock your potential. Over the decades of brainwave research many frequencies have been correlated with specific states of consciousness. By embedding these frequencies into audio we are able to cause the mind to ‘shift’ into specific and desired brainwave patterns. For example it has often been observed that moments of inspiration occur when the mind enters the so called ‘gamma’ frequency. Therefore when the brain is targeted with a frequency of 40hz, the mind will shift into a state of consciousness highly suitable for inspired thoughts. Alternatively brainwave entrainment can be used to relieve anxiety and stress, or focus the mind for concentration. Brainwave entrainment has also been used successfully to manage ADD and ADHD. Brainwave synchronization can also been used as a healing aid, this is due to its innate ability to stimulate specific areas of the body. Alternating a sound within the delta frequency for example, it is possible to alleviate headaches. Each part of the body, generally will respond to a specific frequency. This is useful when combined with other techniques such as affirmations or even hypnosis and can for example be used to assist athletes with their performance. Throughout the ages, there have always been seekers longing to uncover the nature of their consciousness and awareness. They achieved this through various means: from meditation to trance. Using modern brainwave recording devices to analyze experienced meditators such as Zen Monks and Shamans, it is been discovered that during their deepest altered states of consciousness they enter deep theta, delta or even gamma brainwave patterns. Using brainwave synchronization with these embedded frequencies, it is possible for even the meditator without any experience to enter these states of deeply altered awareness. 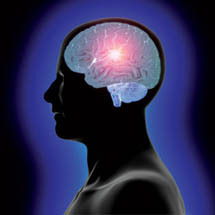 Brainwave synchronization greatly enhances the power of other techniques such as affirmations and hypnosis. When combined with positive affirmations, this technology can be used to promote positive changes in behavior, such as to stop smoking, inspire motivation and remove lethargy, or even increasing the ability to remember and recall information.